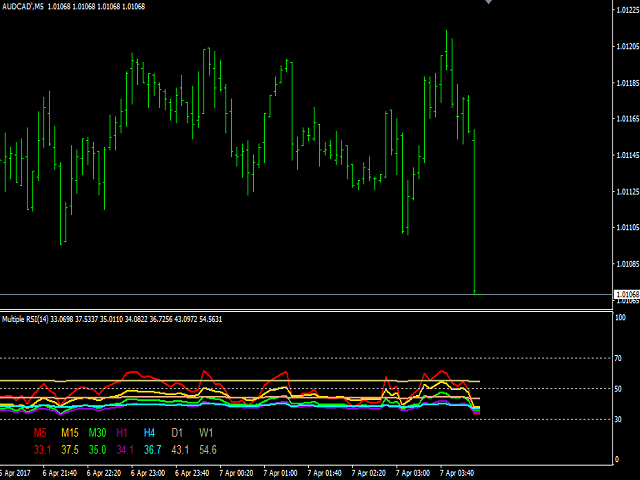 Multiple RSI indicator works based on the standard RSI indicator. 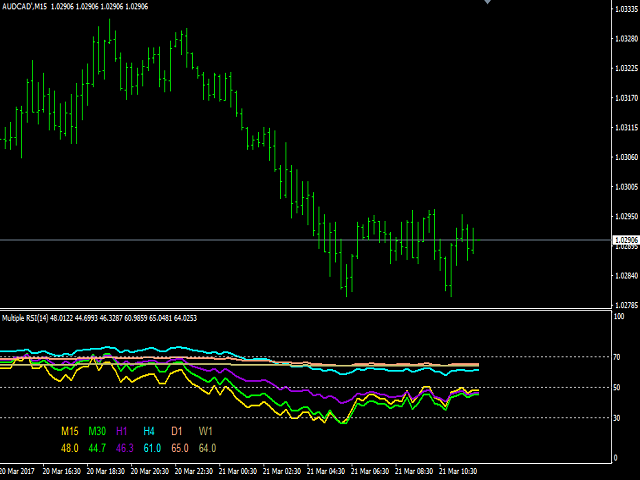 This indicator will display the RSI indicator from different timeframes on one screen. 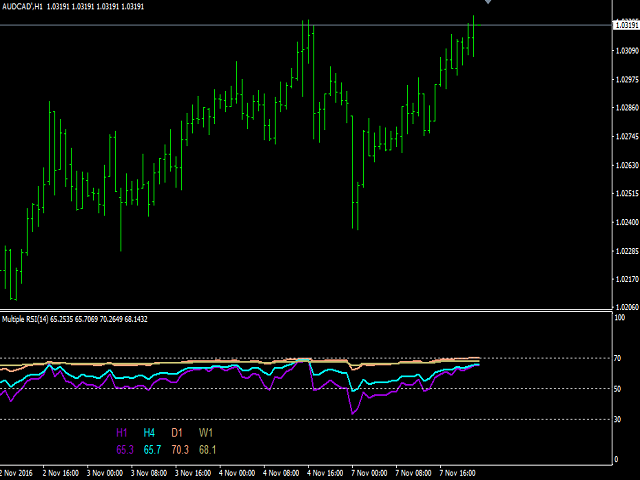 You will see the RSI indicator for all timeframes on one screen. This indicator saves you from constantly changing charts. At the same time you can analyze the operations of other graphs relative to each other. 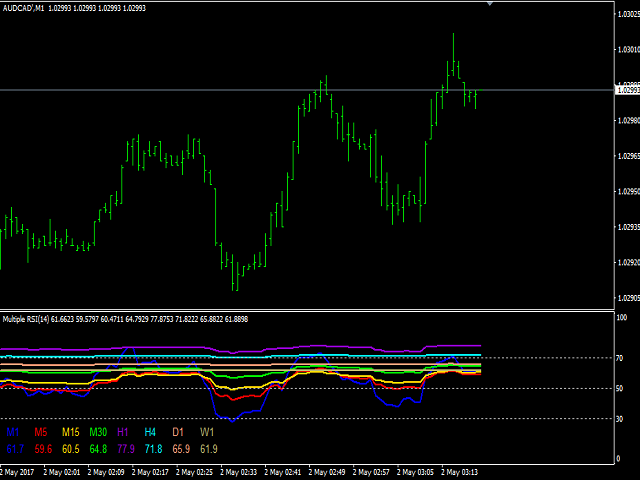 This indicator shows the RSI graph of the timeframe you are working on and the upper timeframe graphs. 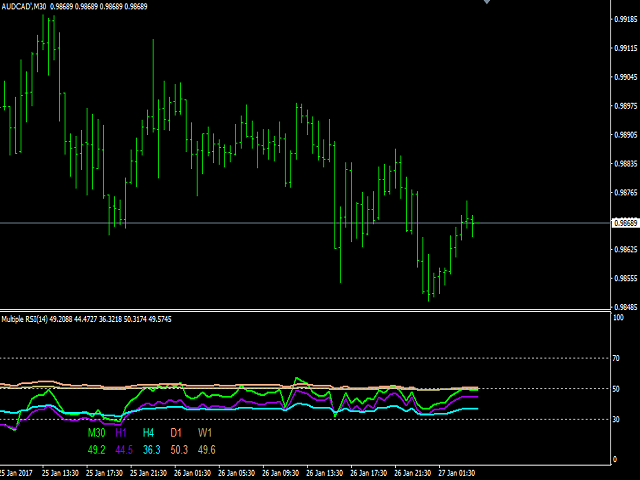 For example, if you run this indicator on the M30 timeframe, it shows M30 and up. M1 shows all graphs at the same time. There is always the color setting of the lines. There is a width setting for the all timeframe lines.